Lamps are too low, obstructing view. 3 cameramen, obstructing view. Fans in section like to stand up as plays develop. Very annoying way to further obstruct view. 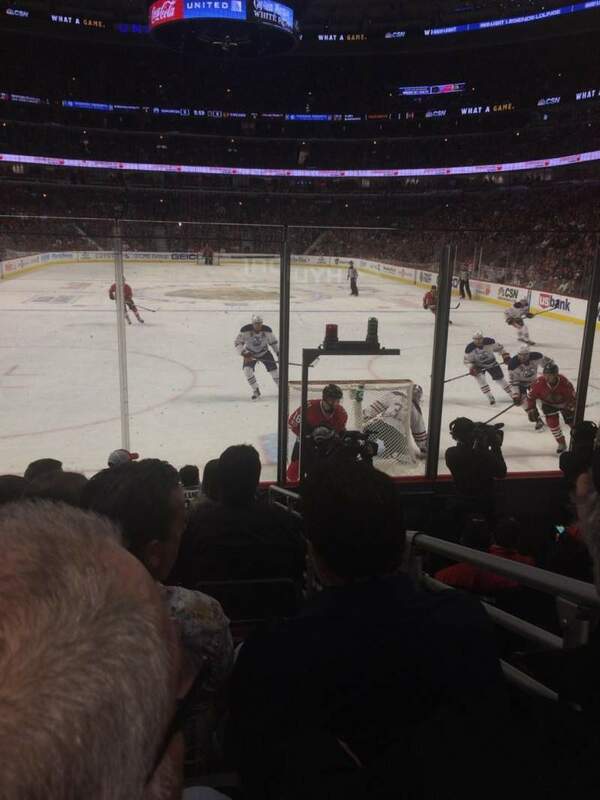 1 Star for great view of Patrick Kane at working his magic.